Dhaka University (DU) Job circular 2019 has been published by university authority. Dhaka University is the oldest public university in Bangladesh. Recently Dhaka University has published a circular of three positions in different sectors in their official website and office notice board. 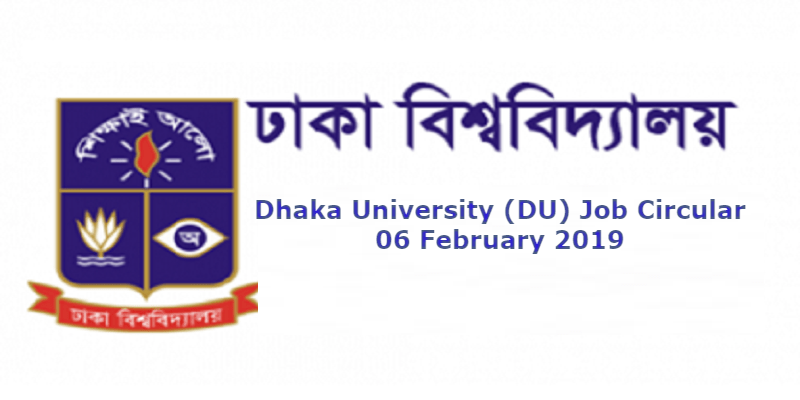 We have already posted the Dhaka University Job Circular 2019 on our website. If you are also looking for another job then check our website you will find thousands of Bd jobs circular. We have updated the circular time to time. Most of the people in Bangladesh are jobless. A job becomes a golden deer nowadays. DU job circular is hope for them. 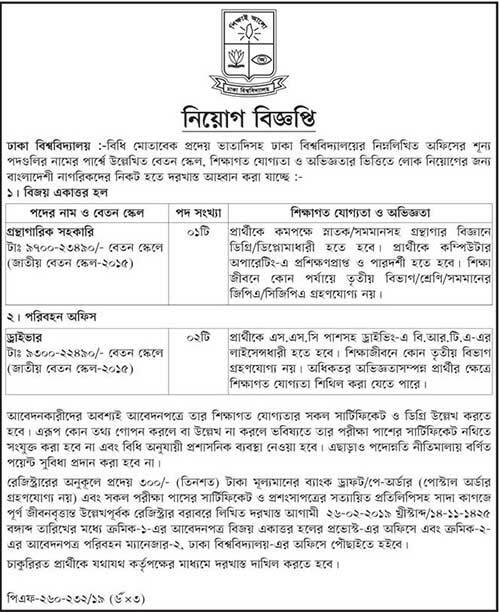 The three positions of Dhaka University are Librarian Assistant and Driver. For Assistant Librarian candidate has to graduate and for driver post, the candidate has to SSC passed and driving license. One position is for Assistant Librarian and Two positions for Driver. If anyone wants to get this job to apply with all the documents that are mention in the circular. DailyNewsGallery.Com Published latest trending news, article news, Video news, Viral photos, technology news, education news around the world.